Dorothy Runk Mennen received her Bachelor of Science degree in Speech from Kent State University in 1938 and her Master’s degree from Purdue University in 1964. She was a pioneer in the teaching of voice and speech and she served as vocal coach on over seventy Purdue Theatre productions. She founded the Voice and Speech Training Association (VASTA) – the largest organization of its kind in the world – and served as its founding president. She was the first woman to serve as the president of the American Association of University Professors and she was given a national award for Leadership and Performance by the University and College Theatre Association. At Purdue, she helped form the Women’s Caucus to study and implement gender equity and she was the first woman to chair the Purdue University Senate. In 2003 Dorothy was honored as a distinguished alumna of Purdue University and in 2010 she was an inaugural recipient of a Legacy Award for her extraordinary contribution to educational theatre and to Purdue Theatre. Dorothy served on the boards of numerous regional and national arts organizations and was a role model for countless students, faculty and alumni. She received a Sagamore of the Wabash Award from the Governor in 2003. 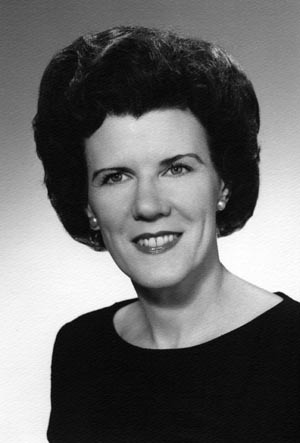 Dorothy served Purdue University for more than fifty years. She believed that you could do anything you set your mind to and she instilled that belief in her students. They carried that belief into their life and work and they established the Dorothy Runk Mennen Scholarship in her honor. Recognizing her impact beyond academics, the Mennen Scholarship celebrates Dorothy’s unwavering enthusiasm and steadfast encouragement of students to pursue their dreams.